JM Dematteis can craft a psychodrama like no one else. His Spider-Man story Kraven's Last Hunt still stands as one of the greatest comic book stories of all time and one of the best stories told from a villain's perspective in any medium. His story of a reformed Joker - Going Sane - delved deeper into the mind of The Joker than any other story I've ever read and remains a personal favorite to this day. He also did a fine job exploring the internal conflict of Hal Jordan in The Spectre, back in the days before Parallax was a giant yellow space bug. 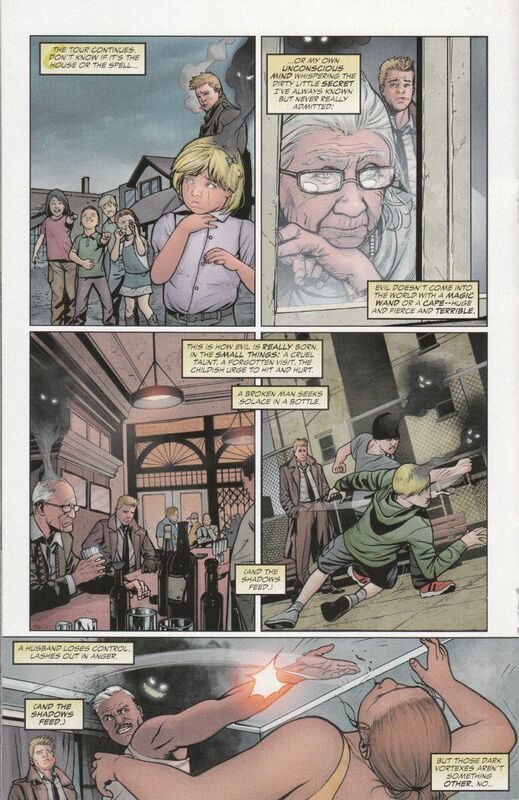 It is fitting then that JM Dematteis should be the one to truly bring John Constantine into the new DC Universe. Let me clear - Jeff Lemire and Ray Hawkes have done a fine job of establishing Ol' Con-Job as the world's reluctant magical fix-it man. 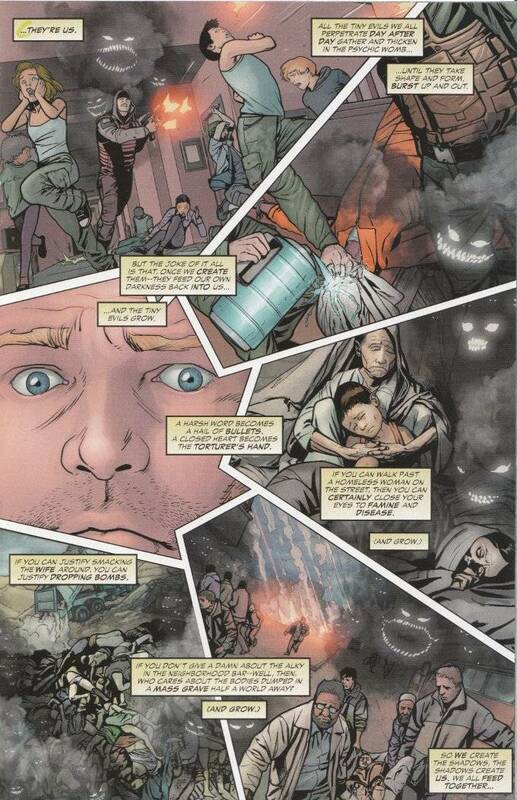 Yet nothing in the Constantine title thus far has really spoken to the overriding theme of the late Hellblazer series - that as bad as various magicians, demons, angels and other horrors may be, nothing is quite so horrific as what one human being can do to another. This issue largely concerns itself with John - pulled away from the conflict of Forever Evil by the House of Mystery - coping with his realization of this fact and the revelation that he may be all that's left to stop the evil posed by The Crime Syndicate of Earth Three. It's brilliant stuff and a must read for all fans of John Constantine. Yet DeMatteis also takes care to make this all accessible to new readers, on the off chance there's someone picking this up who hasn't been reading Constantine, Forever Evil or Justice League Dark. It's probably not necessary but it's a nice touch. I've said before that Mikel Janin is one of the most underrated artists working today. I'll stand by that statement even now, because his work on this issue is breathtaking. The darkness of the world is apparent in every panel of this book but Janin makes that clear without resorting to heavy inks or an overly shadowy palette. Bottom Line. This is one of the best looking books on the market today and with DeMatteis's writing, it is well on the way to becoming one of the best. I'll continue skipping Forever Evil in general but I won't be skipping Justice League Dark.